My appetite is slowly returning and primarily for carbs. Whoa nelly on the pasta, bread and cake I crave. Last night, after spending nearly four hours trying to get an answer from various health professionals about just what is ailing Oliver, I was exhausted, hungry and in possession of some gorgeous fresh fettuccine from Vace, a fabulous little Italian market nearby. It seemed reasonable to consider that my body would revolt if I didn't feed it something green, so I decided on broccoli as I'd purchased some fresh heads earlier in the week. Y'all know when you roast broccoli and the tree-top ends get blackened? The flavor concentrates? 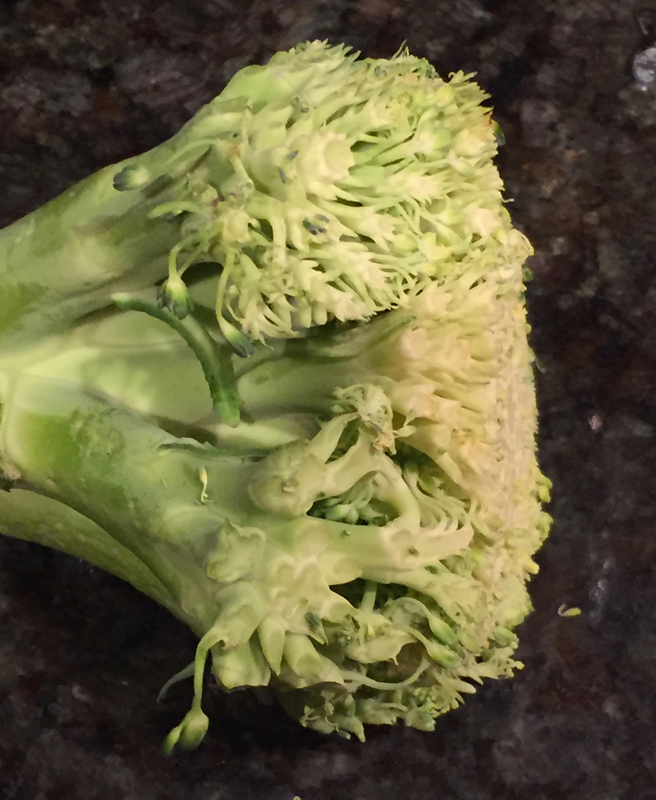 And you just wish every bit of the broccoli tasted like those little frondy ends? I adore those bits and pieces so decided to basically shave the head off the broccoli stalk and make "breadcrumbs." I tossed the broccoli shavings with some regular breadcrumbs (made from stale baguette; the best), garlic, olive oil, salt and pepper, and then roasted the whole mess on a sheet pan in a low oven, maybe 250 Fahrenheit, until everything was toasty and just-crisp, about 25 minutes. When all that was nearly done, I boiled the egg fettuccine (isn't egg pasta insanely lush and wonderful?) until just done, reserved some of its cooking water, drained it and then returned it to hot pan. I added back some cooking water as well as a few spoons of fresh ricotta and a generous shower or three of freshly grated Parm. When that was fairly well incorporated, I drizzled some top-quality olive oil on top and gently folded in most of the breadcrumbs. Then more Parm and finally the rest of the breadcrumbs. Voila! I ate enough to feed a small army. Delish!